Next year’s CeMAT – the world’s leading intralogistics fair – will have a completely new look, being co-located for the first time with HANNOVER MESSE. 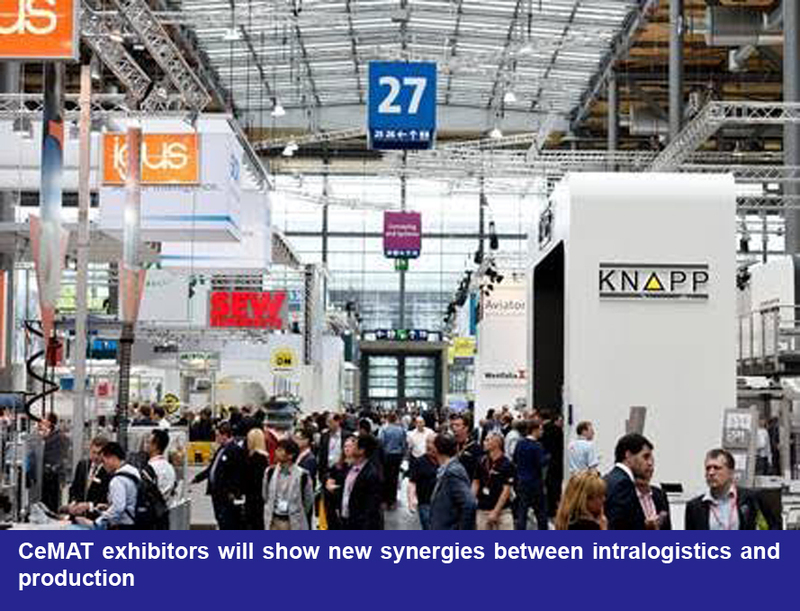 The traditional time of year will also change: Instead of a biennial appearance in May or June, the logistics industry will be showcased from April 23 to 27 in pavilions 32 to 35 as well as in adjacent halls at the Hannover Exhibition Grounds. Wahle adds that trade visitors in Hannover will be able to see how the Toyota Production System integrates logistics and how Toyota is gearing up to face the challenges of the future. The spotlight will also be on new products and systems, according to Wahle, along with numerous new services. STILL is expecting additional trade visitor attendance to be generated by the other display sectors at the co-located HANNOVER MESSE 2018. The company will once again occupy a pavilion and feature as one of the leading industrial truck manufacturers at CeMAT, reports Fischer.